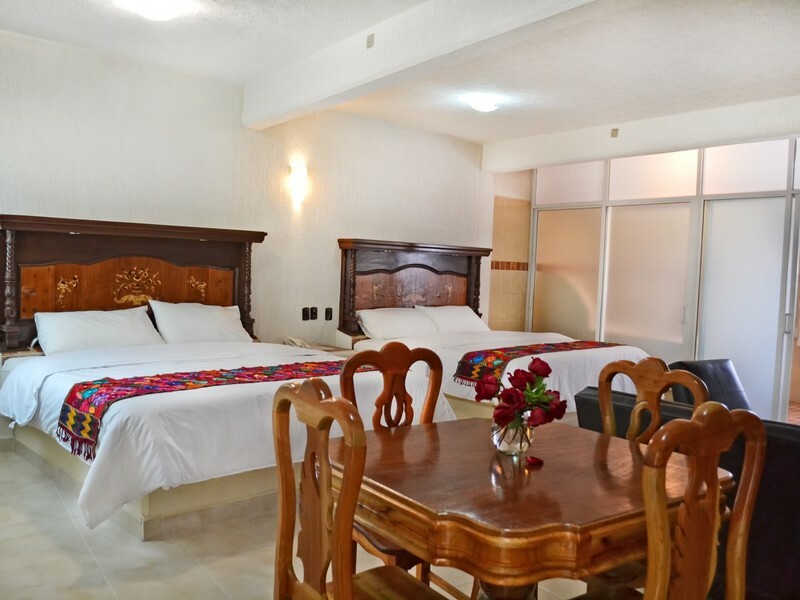 Our 18 spacious rooms offer services such as: room service, movies and Cable TV. 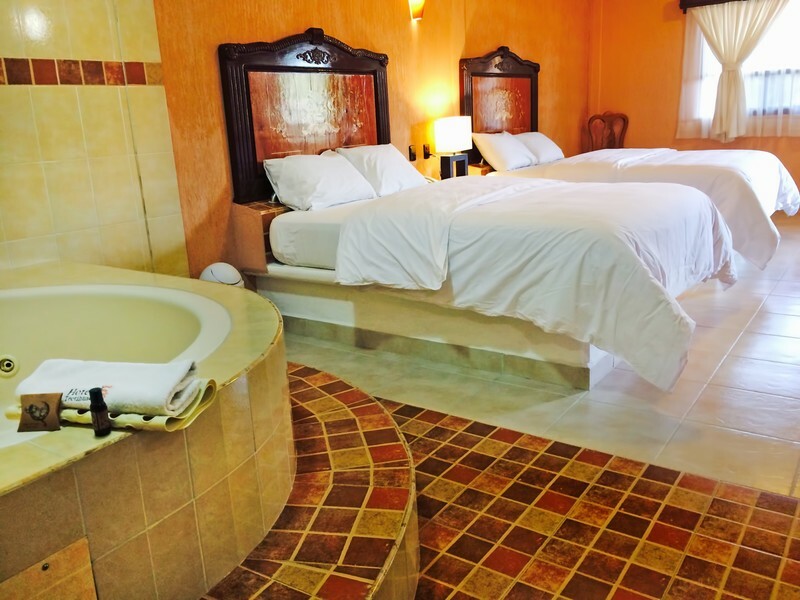 You will also have gratis drinking water bottels, a private bathroom with shower and a phone at your disposal. Room offers 1 king size bed, Cable TV, Telephone and hair dryer. 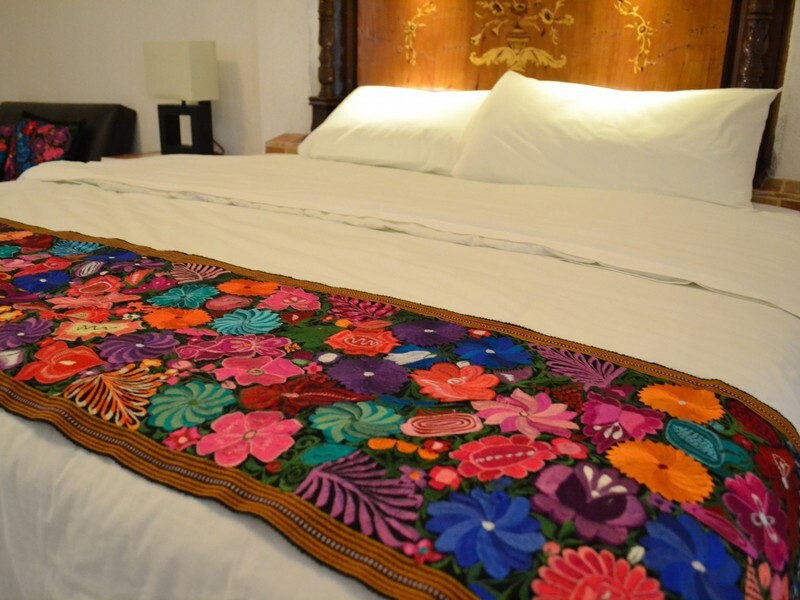 This room offers 2 queen size beds, Cable TV, Telephone and Hairdryer. 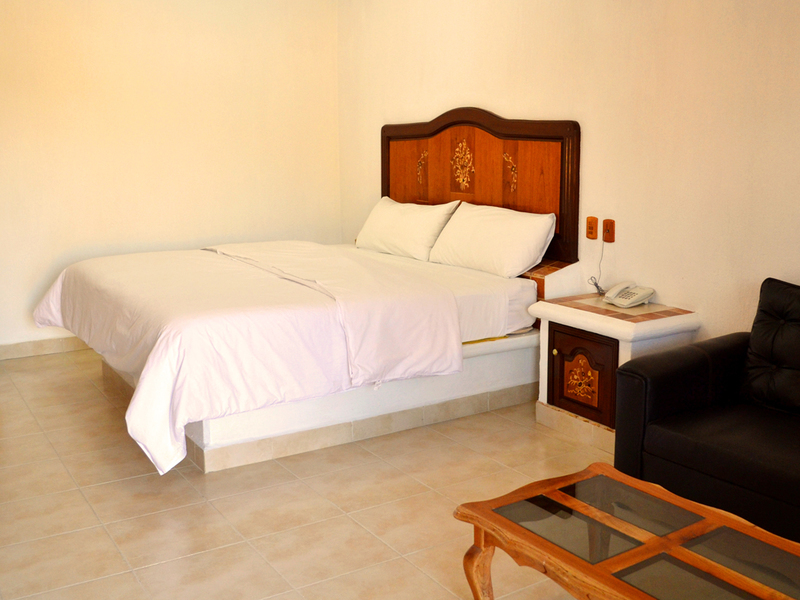 This room offers 1 king size bed, Cable TV, Telephone, Jacuzzi and Hairdryer. 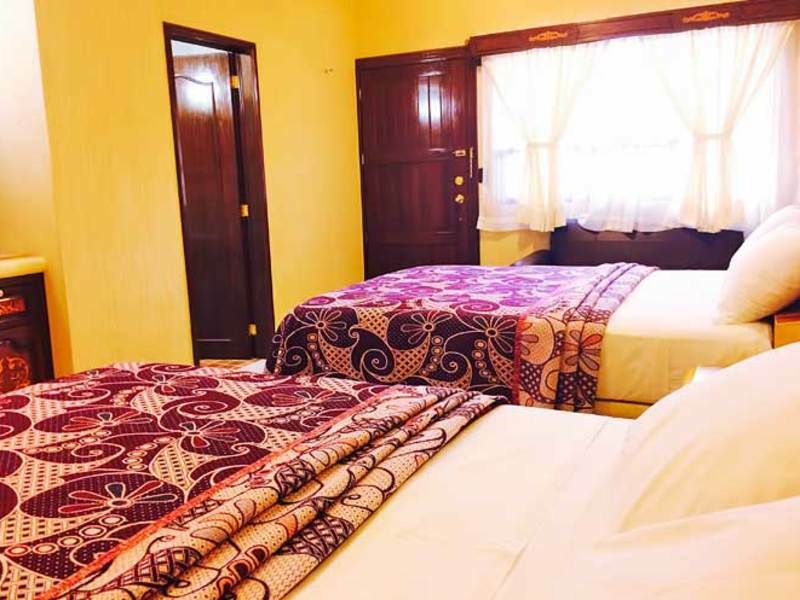 This room offers 2 queen size beds, Cable TV, Telephone, Jacuzzi and Hairdryer. 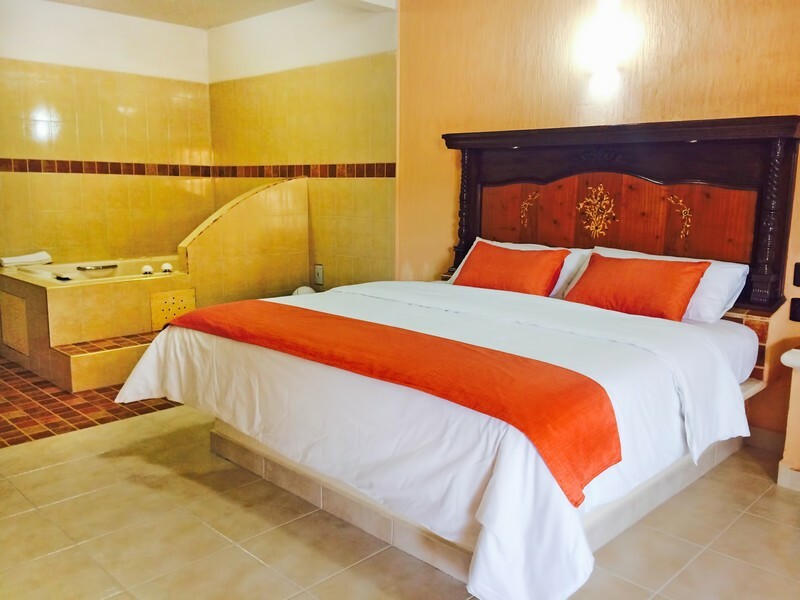 This room offers 2 king size beds, Cable TV, Telephone, Jacuzzi and Hairdryer.